One of the frustrating things about new hypervisor releases is the supportability of the new release from backup vendors. This is always a deal breaker for upgrading in production environments if data protection is broken. With the release of VMware vSphere 6.7, the race has certainly been on for backup vendors to introduce support for vSphere 6.7. I am a bit surprised that we have seen vendors take as long as they have with introducing support for this release since it is a hot one. However, Vembu recently released big news with support for VMware vSphere 6.7 with Vembu BDR Suite 3.9.1 Update 1. 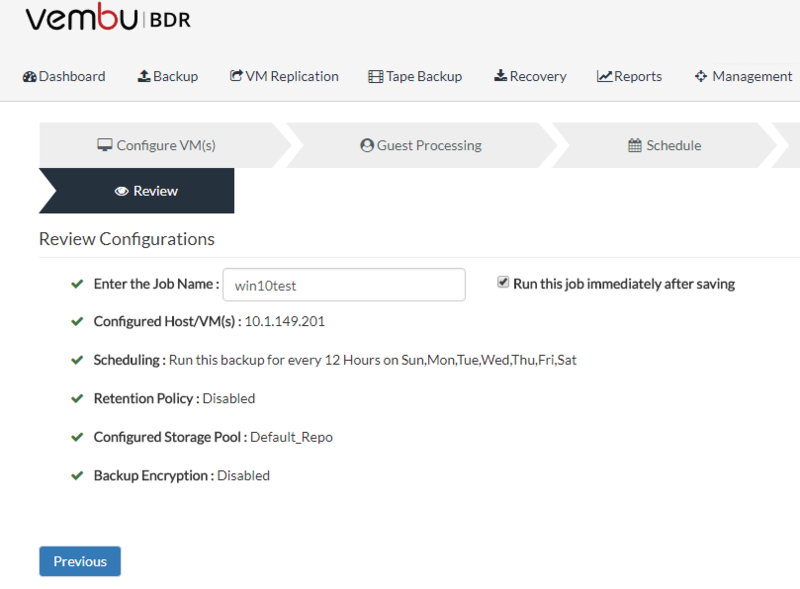 Vembu is a great backup vendor that is extremely versatile and provides wide coverage for backing up various environments from VMware, Hyper-V, KVM, and physical environments. 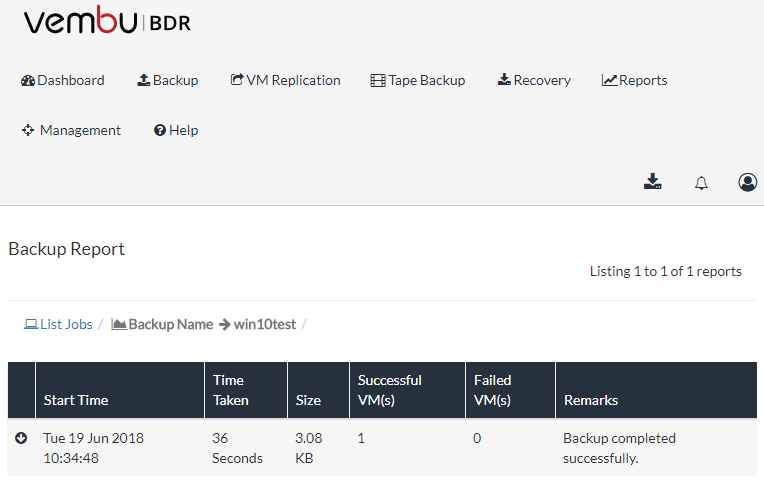 Let’s take a closer look Vembu BDR Suite Backup Supports VMware vSphere 6.7 with the new update 1 release. Note, when you pull down the installer, you should see the Update 1 designation which denotes VMware vSphere 6.7 support. After installation, the official build number for the VMware vSphere compatible release is 3.1.1 . After installation, the first task was to see if I could successfully connect to my VMware vSphere 6.7 vCenter Server. Success! No errors, or issues. The connection was established successfully. The Vembu BDR Suite Server 3.9.1 Update 1 instance was able to enumerate the VMware vSphere 6.7 servers without issue. After nexting through the backup job creation wizard, the job is ready to be created. I have selected to run the job immediately after saving. The backup job of a Windows 10 workstation virtual machine finishes successfully. 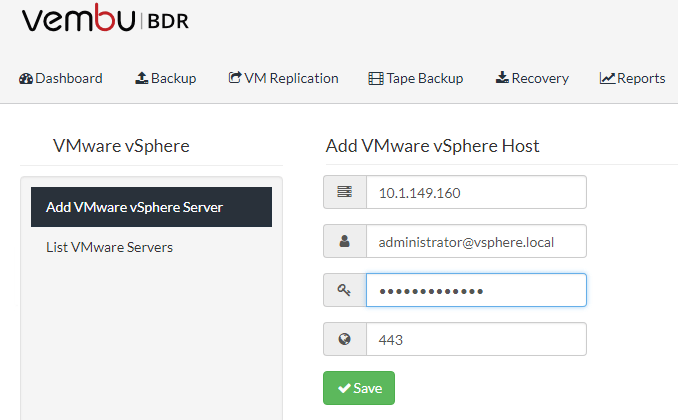 Aside from the new VMware vSphere 6.7 support found in Vembu BDR Suite 3.9.1 Update 1, there are many great new features and functionality in Vembu BDR Suite 3.9.1 as well. Be sure and take a look at the in depth look at new features found in the release in our coverage post here: Vembu BDR Suite 3.9.1 Released with Standard Edition. Hyper-V hosts can be backed up agentlessly. Vembu’s Hyper-V CBT driver allows recording Changed Blocks so backups happen efficiently. 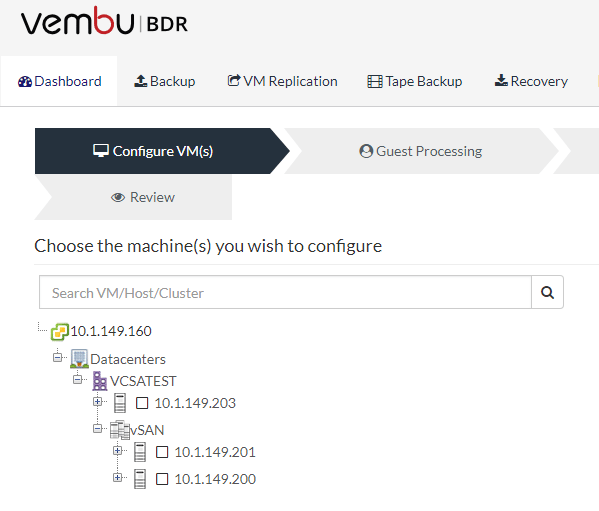 Vembu functionality that allows booting any incremental VM and physical machine disk image backup instantly, right from the Vembu backup storage! Vembu provides crossplatform mobility. VMware and Hyper-V virtual machine backups can be migrated to the hypervisor of your choice including VMware, Hyper-V and KVM. Vembu’s BDR Suite allows for true application aware backups that provides granular recovery of Microsoft Applications such as Exchange Server and SQL Server and ensures the backups from these mission critical applications are consistent, minimizing restore time and RTOs.